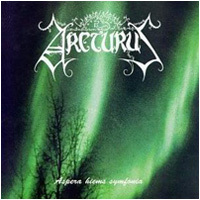 Arcturus was a metal band formed in Norway in 1987 and was playing to 2007 when they broke up. In the song Wintry Grey from the album Aspera Hiems Symfonia that was released 1995 they have borrowed some lyrics from the song A Victory Of Love. You see the difference in the lyrics below and listen to the Arcturus version. Waiting for a change in the weather. Waiting for a shift in the air. Could we get there together, ever?